1) These pictures were a total battle of the elements! 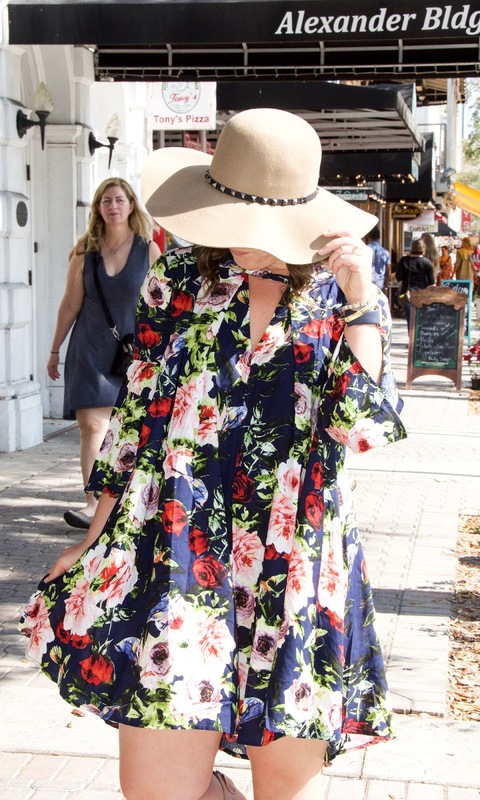 It was a pretty breezy morning (a “cold” front was moving in) but by lunch it was practically hurricane-force winds and high wind + this breezy dress was a battle of the wills to keep from flashing the onlookers! ha. The sun was also blazing so we had to keep location-hopping to hide from the brightness! 2) My photographer and I had been taking photos all morning and were starving and ready for lunch so we popped into this adorable looking cafe in downtown St Pete. However, once we settled in we learned that the cafe we chose was a raw-vegan restaurant with no meat, gluten, or dairy on the menu! (Oh an nothing was cooked over 117 degrees!) Y’all… if this is your thing, bravo! But for this southern gal, well it was an experience! By the end of our meal, I think I was hungrier than when we started… so we stopped by Panera and got sandwiches- #GiveMeCarbs (insert: crying/launching emoji). 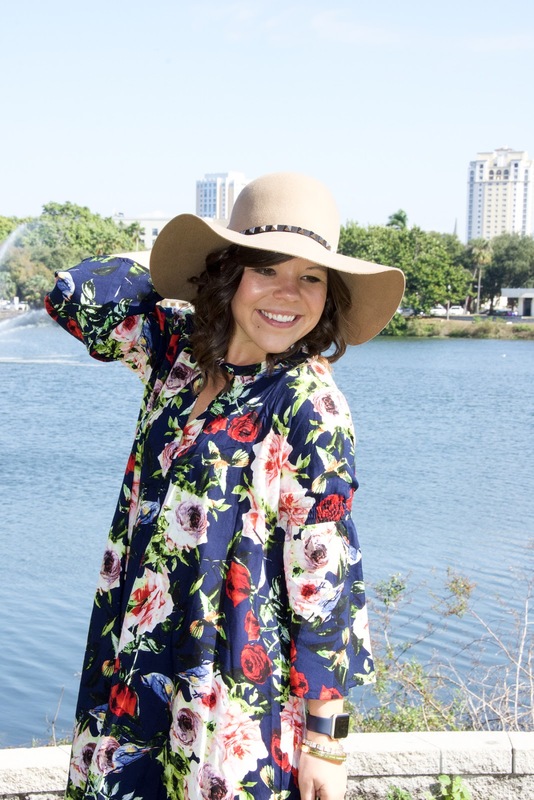 Despite the breezy elements, I couldn’t be more in love with this Fancy Frills tunic dress! 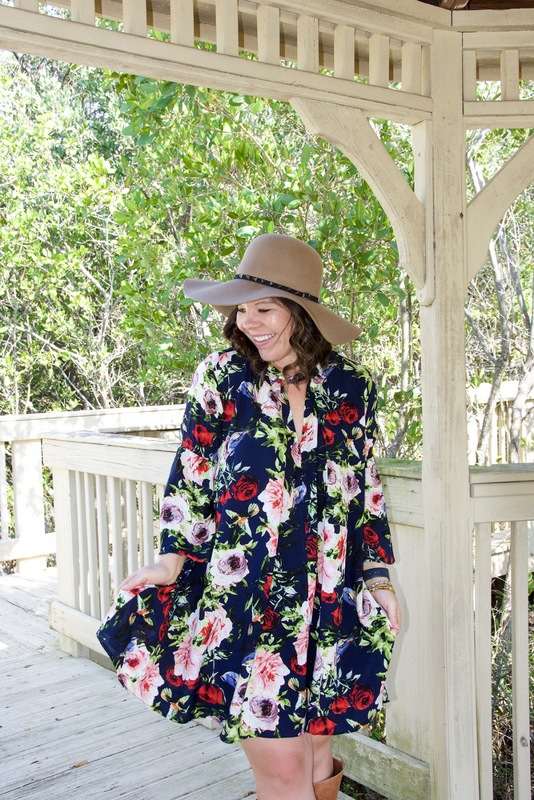 The deep navy blue is one of my favorite shades, and the floral print reminds me that spring is indeed coming 🙂 This will so easily transition into the spring as well, if you swap out your riding boots for wedges and your wool hat for a beach floppy! Hope y’all have a fabulous start to your week! Next Post The Cutest Custom Apparel! 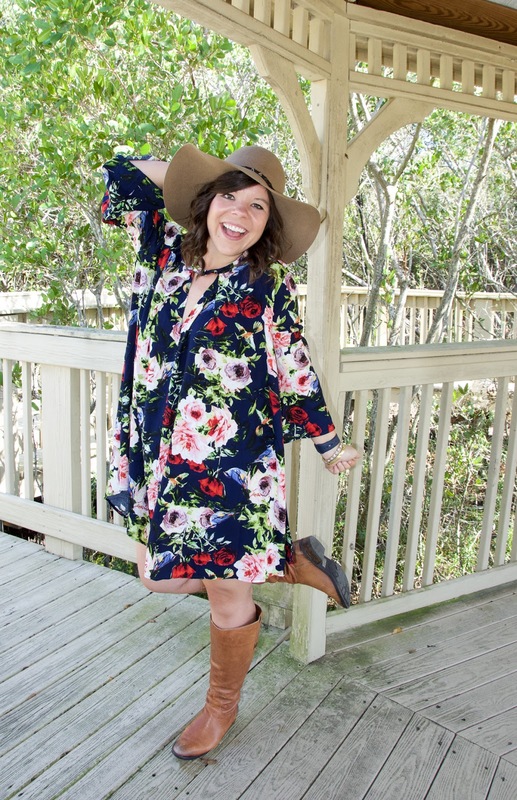 Good job battling the elements because these shots are adorable and your dress is so cute! I don't think that a restaurant like that would make it here in Atlanta, we fry everything! I give you props for eating there and glad that you got some real food afterwards. 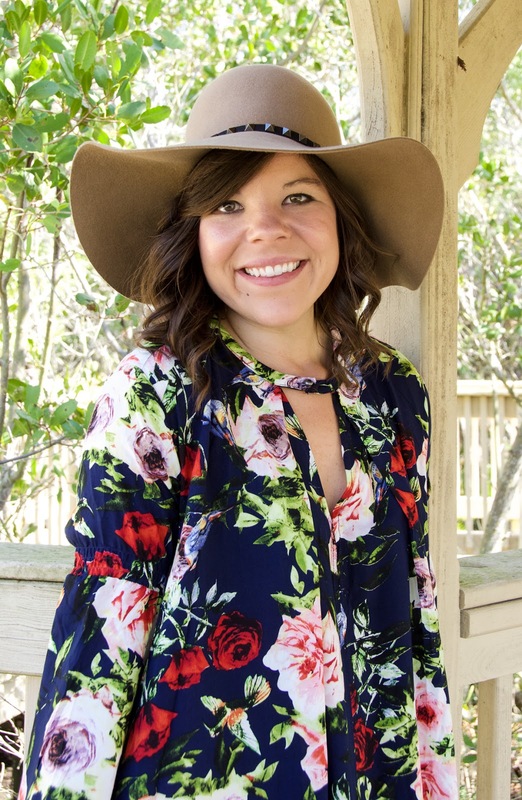 That is so darling with the hat! And I LOVE that you stopped by Panera–a girl after my own heart! My favorite was the time I ordered a panini and a salad at Panera and the guy was like "a you pick two?" and I was like, "no, I just want both." 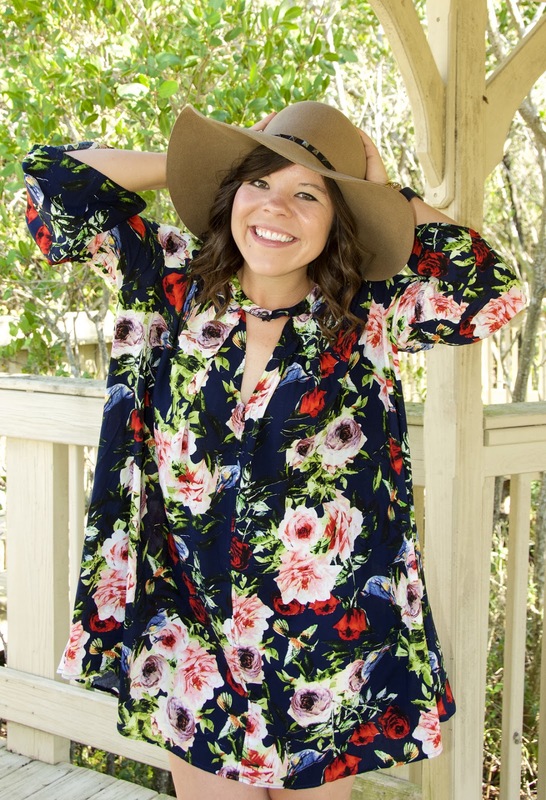 The pattern and colors in this dress are so pretty!! Oh, the memories are still etched in my mind but you turned out gorgeous. 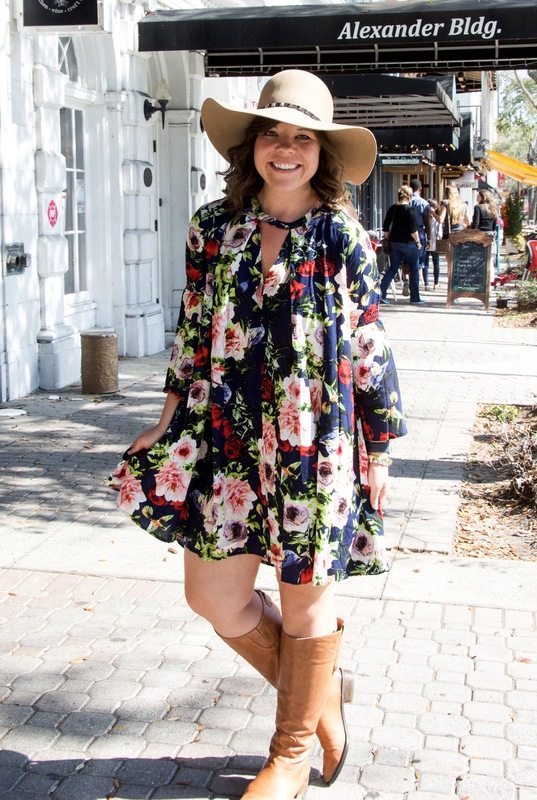 Love this adorable dress! 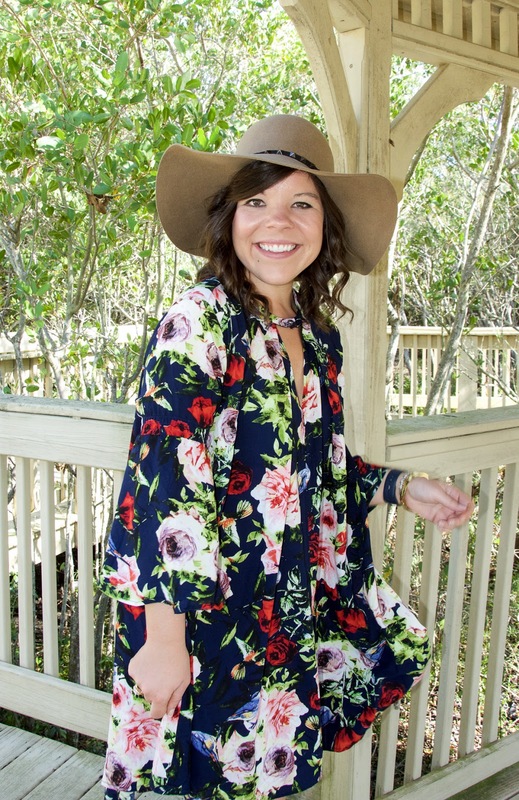 Tunic dresses are my favorite, especially in a floral print!